Celery is an often under-used and underestimated food that can be used in countless different ways and has a great number of health benefits that most people are simply unaware of. Celery has been harvested for centuries and can be eaten raw, as well as cooked. It grows in a stalk with leaves, and both the stalk and the leaves are edible, and can be juiced also. The seeds are also edible and have their own benefits, and celery seed oil, as well as celery salt also exists on the market, or can be fabricated in an artisanal way. While celery is very common around the world now and cultivated all over North America as a primary salad crop, it has its origins in Egypt and India. Celery grows best in a climate that provides long, cool seasons with moderate rainfall and does love moisture in the air and soil. Celery plants do well with ample sunshine and do not survive freezing conditions, though they do well with cooler nights. It can take up to 5 months to harvest celery after sowing, especially for thick and strong stalks. The roots are shallow and require mindfulness when turning the soil, irrigating and weeding around the plants in order to keep the roots strong. Celery is often used in weight loss diets because it contains so few calories and no fat. It is high in dietary fiber and the calorie count for 1 serving, which is approximately 40g or one celery stalk, is only 6 calories. For this serving size, celery also contains 3% daily intake of dietary fiber and 3% daily intake of potassium, and does not contain any fat, cholesterol, and contains negligible amounts of protein. Celery contains vitamins A (4% daily intake), vitamin C (2% daily intake), as well as calcium (2% daily intake), and is not a significant source of iron. The basic strong points of celery are that it is considered high in vitamin A, vitamin B6, vitamin C, dietary fiber, potassium, calcium, magnesium, phosphorous, riboflavin and manganese while being low in cholesterol and fat. However, celery is high in sodium and sugar for its relative calorie count, though it is safe for diabetics to consume as these sugars are naturally occurring from the dietary fiber and have not been shown to disturb insulin production or to disrupt blood sugar levels significantly. For each portion of celery, it is made up of a significant amount of water. For instance, an 110g portion of celery contains at least 105g of water, so it is, therefore, an excellent food to keep in the diet, especially when consumed raw, in order to hydrate the body through food intake. As mentioned above, celery is often used in weight loss diets as it is high in dietary fiber and low in fat, and helps the body feel satisfied while it breaks down the fibers. For this reason, celery is a great snack to use in between meals as it can cut down on unhealthy snacking as an alternative to chips or other snacks high in sugar, even as compared to fruit-based snacking. 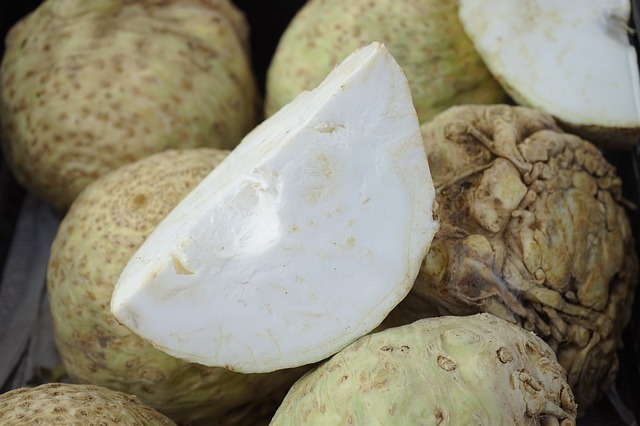 It is also very versatile and can be consumed with peanut butter or other nut butter, along with cheese or daily alternatives, and dipped into any type of sauce or dip for added flavor, or even simply with olive oil or some kind of dressing. 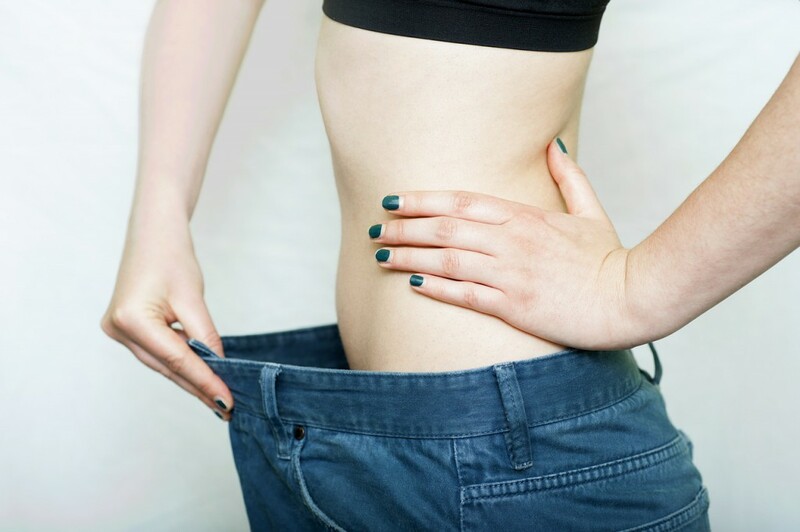 Many people enjoy eating celery on its own, without adding dips that can compromise weight loss efforts as well. Celery has many health benefits beyond the weight loss aspects, so even for those who are not specifically seeking to lose weight, celery can offer many health and nutritional benefits and is an excellent food to add to any diet. The anti-inflammatory aspect of celery has been demonstrated in clinical research, due to a phytosterol that is contained in celery. It also contained mannitol, which has been associated with reducing inflammation relating to arthritis in clinical studies. As a result, celery has often been used in the treatment of rheumatoid or other inflammatory diseases such as arthritis, and has been shown to be an effective part of the diet for preventing these diseases as well. Some studies have also examined the antioxidant capabilities of celery, and have linked celery with fighting cancer cells in the body, as with other foods that are high in antioxidants. Celery contains flavonoids that are part of this process as well, and some studies have demonstrated that celery is specifically shown to kill pancreatic cancer cells as well as fight breast cancer. Though studies show results specific to these types of cancer, the presence of antioxidants would make celery an excellent candidate for a cancer-prevention diet in general and also excellent for cancer patients to consume regularly in order to assist with treatment and support health and remission with an appropriate diet high in antioxidants. However, there is some controversy around the proper timing of using celery or flavonoids, which seem most effective when used or consumed before treatment to avoid negating the effects or simply not having any effects. Celery, when consumed regularly, has also been shown to have positive effects on regulating blood sugar levels, improving intestinal function, reducing cholesterol levels and improving digestion (study), and a more recent study has even found that adding celery to the diet can improve memory loss. The most often used part of celery is the celery stalk, as the leaves have a more prominent flavor that does not appeal as much as the stalk. 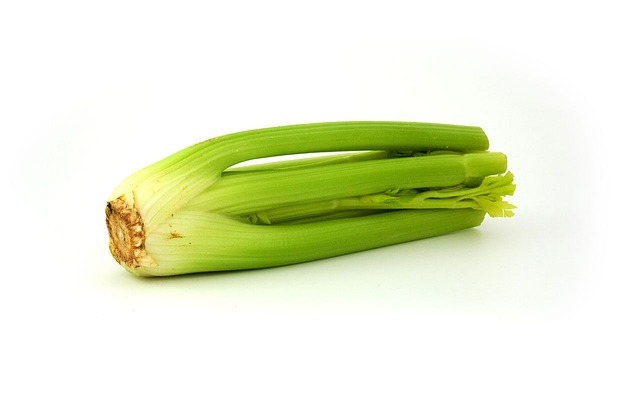 While celery does have a noticeable flavor and can be somewhat bitter, the leaves are not only stronger in flavor compared to the stalk, but tend to be more bitter and must be delicately balanced with other items for a more appealing flavor. As a result, the leaves are not as often used, though they can be added to salads, soups, as a topping on any meal, or even juiced for added health benefits when blended with other foods to cover the prominent taste. One common myth about celery is that it has a negative calorie count, which means that people believe celery uses more calories to digest and consume than it contains. While this has not been proven, it is most likely attached to the fact that celery has such a low calorie count and does indeed require some digestive effort to break down the dietary fiber. However, it is still in the realm of calorie intake, though minimal, and not a negative calorie count as it is often thought. 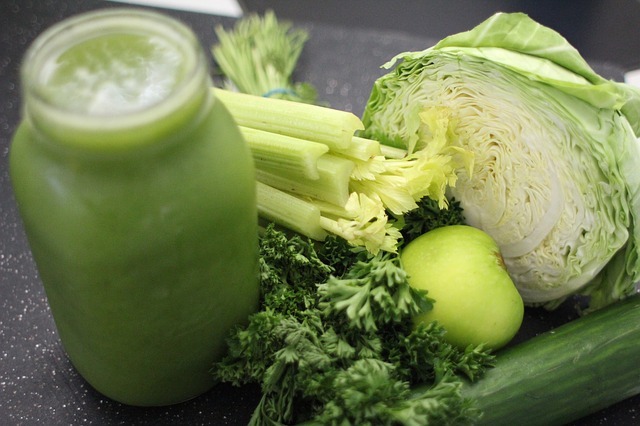 An easy way to increase celery intake is juicing. Though juicing generally does not provide as much of the dietary fiber, it is an easy way to add the nutrients and vitamins to your diet without having to consume inordinate amounts of celery. As with most nuts and seeds, celery seeds are rich in omega fatty acids, which are the kind of fatty acids that the body needs. Celery seeds have very little flavor and can easily be added to a salad, stir fry, a soup, or any dish in order to access more of the omega amino acids that the body needs. Some people like to crush the seeds into a powder, but they can also be added whole to any dish. While they do not have a strong flavor, they do tend to be on the more savory than sweet side, and may even taste bitter to some, so it is generally recommended to add them to a savory dish like a soup, salad or stir fry, rather than a dessert or sweet dish, as the contrast in flavor would not be as palatable to most. Celery does contain sodium, however, while most salts are best consumed in moderation, celery salts are not as damaging to human health and are what nutritionists consider good salts. Of course, excess celery salt is not recommended, however, celery salt can be safely used as an alternative to table salt or even sea salt in order to reduce overall salt consumption, and many people find it to be a very pleasant taste to add to any savory dish. Indeed with this many health benefits, it is not surprising that celery was primarily used as a medicine before it was introduced as a food into the human diet.